Clear Span Marquee Hire — Ed The Marquee Man. 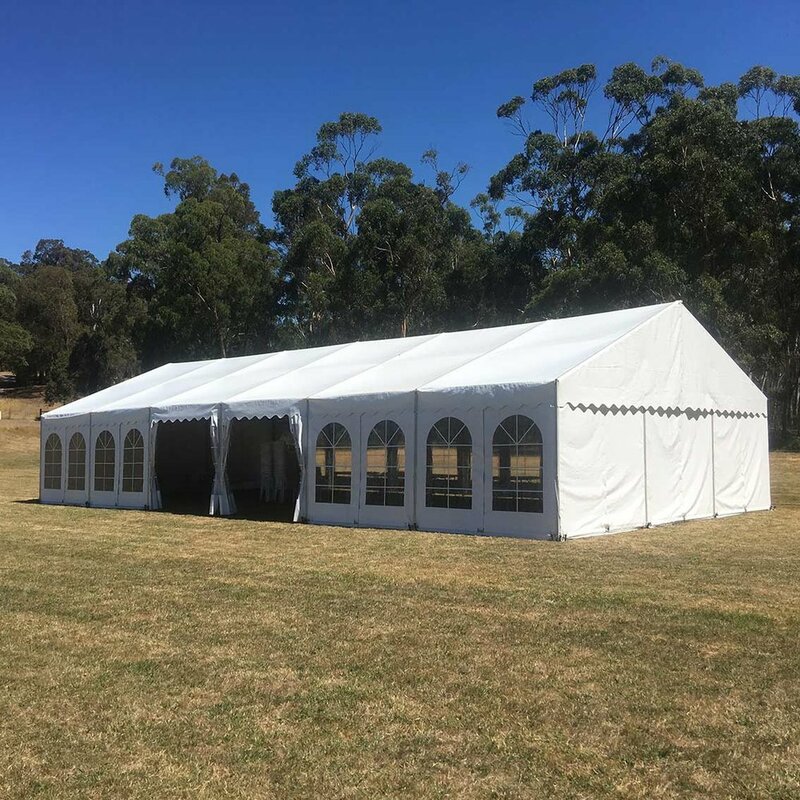 Offering a range of size and design options, the Clear Span Structure Marquee is the traditional most widely used Marquee. Starting at 3m x 3m, the Clear Span Marquees can be as large as needed in both width and length and is built from the ground up in 3m panel increments. It can then be securely mounted onto any surface using either concrete blocks or pegs. Can also be used as a Stage cover by increasing height. Price includes GST, setup and installation. Prices do not include delivery or transport. Larger sizes are available upon request. Prices based on using Pegs. Additional charges apply when concrete blocks are required. Call 0403 207 708 or Make Enquiry.